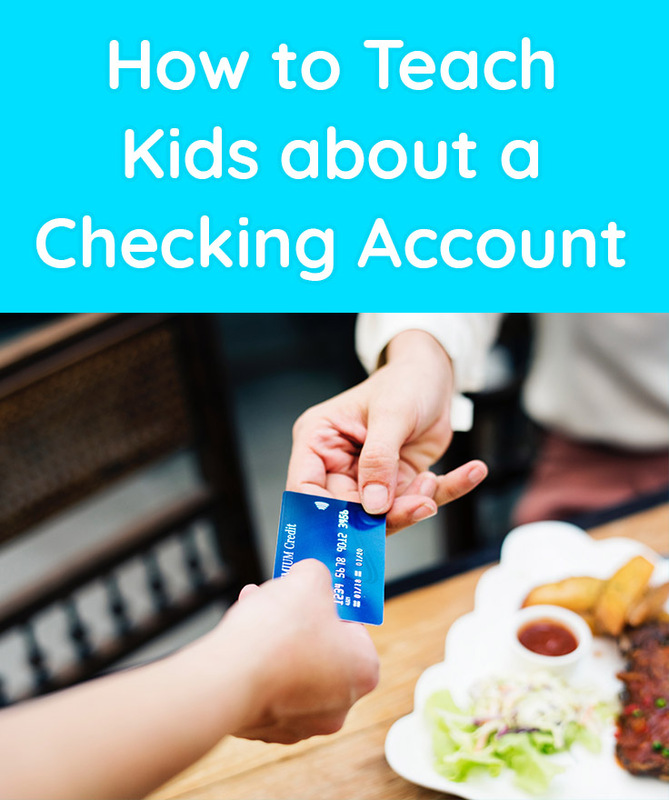 Kids will still need to know about checking accounts though because even if they may never write a check they will still need to learn about the use of a checking account. With most checking accounts you will receive a debit and credit card. This is a card that pulls funds directly from your checking account. Your kid should be taught how to use a debit and credit card in a responsible way. The best way to start is to get them a checking account for children, that comes with a debit card for which parents are able to set limits, and a separate savings account that they aren’t able to withdraw from on their own. When your kids reach the teenage years, you’ll want to start discussing checking account options with them. There are credit unions or regular local banks that offer checking accounts for both personal and business use. Allow your teenager to write checks from your checkbook as practice to learn how to write checks. Have your kids take part in your discussion with balancing your checking account. While your kids may be growing up in an era where they will predominantly use their debit and credit card, it’s important to teach them how to balance their checking account. There are many online printables for you to print out and create a fake balance sheet to teach your kids a hands-on way to balance their checking account. The best way to teach kids about a checking account is to use apps that offer rewards for chores, to have them take part in your transaction history with your own checking account and allow them to assist in your end of month checking account balancing methods. Kids will learn best about checking accounts when you leave the option open for them to ask questions. While you may think the use of a checking account is becoming outdated, the reality is that you will always need to have some form of a bank account. Having a checking account will allow your kids to have a better chance at getting future loans and purchases completed. Teaching your kids about a checking account isn’t like it used to be, your focus may be more on debit and credit card usage than the actual act of writing a check.